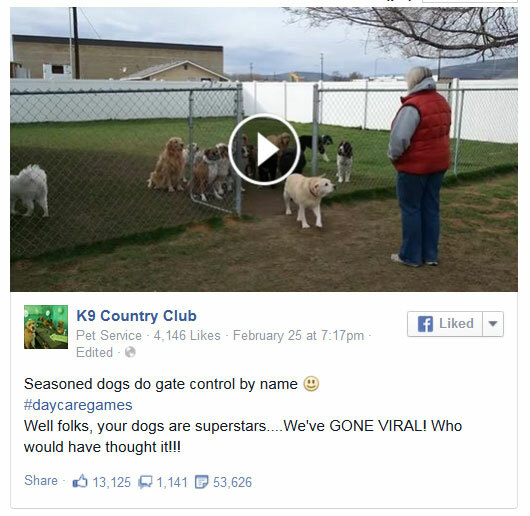 We posted this video on our Facebook page on February 25 and had no idea it would generate this much attention. It's had more than 2 million views so far! We do this stuff every day at K9 Country Club and we just wanted to show you how awesome YOUR dogs are. Now everybody else knows, too! → Basic bath prices have decreased, and we now have options to add on extra services such as nail trims and ear cleaning. → For all dogs boarding with us, we're now offering special half-hour and full-hour one-on-one time with a K9 Country Club Pro. You can choose from a variety of favorite activities. → When boarding, if your dog isn't a regular daycare participant or has special physical or social needs, we may charge an extra $10 per day for the required one-on-one time with our staff. When you call to book your dog's stay, we will let you know if your dog requires this extra attention. The next time you drop off your dog for boarding we'll have a menu available for you to choose any extra services you'd like. Also, please note that if your dog requires extra supplies or services while in our care, we will keep track of those costs and request payment for them. Thank you. 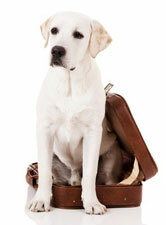 Our goal at K9 Country Club is to make your pet as happy and comfortable as possible while you are away. We have all the soft beds, cozy blankets, crates, bones, chews and toys needed to ensure your dog has a great stay with us. If your pet is staying with us more than five days, or if you are traveling far away and your return may be delayed, it's a good idea to pack a few extra meals. Of course, your dog should always arrive at K9 Country Club with a collar and leash, too. So if you've been packing your dog's bed, blankets, dishes and toys, you can now leave those things at home. Less packing for your dog means more time to pack your own stuff! Crate time is not a "Time Out"
If you arrive to drop off or pick up your dog in the daycare building and see dogs waiting in crates, it is not because they are in trouble. They are not in a time out. They are simply waiting safely for the rest of the gang to arrive or they are waiting calmly for your arrival to pick them up. When owners enter the daycare building, the dogs want to rush to the gate and see who is coming in. In this heightened state of excitement they can become possessive and things can quickly escalate from them simply wanting your attention to aggressive displays of jealousy, making the situation unsafe for everyone. We pride ourselves on our safety record at K9 Country Club. When caring for upwards of 40 dogs per day there are many things we consider to keep our facility as safe as possible. Crating at the beginning and end of the day is essential for safety. 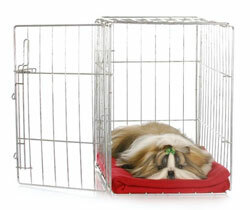 Many dogs climb into a crate in the afternoon if we are indoors so they can rest and take a break from their friends. Their day is full of physical and mental challenges and we believe the combination of those things not only contributes to a well-mannered, well socialized dog, but it gives you the "break for a night" that many of you look forward to. A tired dog is a happy dog!! When you're at K9 Country Club this week you can also support Wags to Riches by purchasing a raffle ticket. 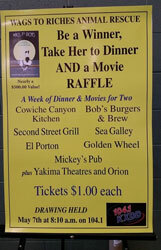 For just $1, you could be a winner of dinner and a movie... for an entire week! That's seven scrumptious dinners and seven movie dates, for two. This is a great cause and a super cool raffle!! The drawing will be held May 7, 2015 at 8:10 a.m. on 104.1 KXDD radio. You may already know our protocol for the beginning and end of each day at K9 Country Club and how our processes govern your dog's activities throughout the day. Because the reasons aren't always obvious, we are often asked why we do things a certain way. We know we have many "rules" at K9CC and we want you to know that each rule we enforce and every consideration we ask of you is for the safety and well-being of all the dogs who spend time here. For those who may have forgotten or are new to our facility and have no idea how our day goes, here's a look at a typical day at K9 Country Club, and some of the reasons behind the rules. We begin our day between 6:30 and 7 a.m. by tending to the needs of our overnight guests. Before we open for daycare dogs at 7:30 a.m., we take all the boarding dogs out to go potty, we tidy their rooms, serve breakfast and get them ready to play with the daycare dogs who will soon arrive. When we are ready to start receiving daycare dogs at 7:30 a.m. there are often up to 12 cars waiting in line with anxious furry friends ready to play! Between 7:30 and 8:00 a.m. Nancy and Laurie are the two people here to welcome the dogs for their day of fun. As quickly as we can, we take the dogs to the play yards so they can "do their business." We then bring them back inside and separate them (usually by crating them) so that the incoming flow of dogs can continue smoothly. At 8:00 a.m. more help arrives (Melissa, Jenny and Caitlin) and over the next 30 minutes we welcome between 20 and 45 more dogs. Every dog has a chance to go potty and then waits patiently as the rest of the group arrives. Once everyone is here we break into groups, each with their own "Club Pro" leading the pack. We spend the rest of the morning playing with, working with and entertaining all the dogs. We work on manners and obedience cues such as sit, come, wait, and stay and we play games such as agility, nose-work and pool time. After a busy morning, the dogs are tired and it's time for a well-received nap. From 12:00 to 2:00 p.m., all daycare dogs are crated and all boarding dogs return to their rooms for rest time. At 2:00 p.m. we again break into play groups. We enjoy similar activities in the afternoon, although often we have a more relaxed pace because the dogs played hard all morning. At 4:30 p.m. the overnight guests return to their rooms in anticipation of dinner and the daycare dogs are crated so we can begin the process of cleaning. When owners arrive to pick up their dogs, most dogs will be crated, separated, or in the "meet and greet" area. This gives the dogs a chance to wind down from the day's activities and be calm when their owners arrive. It is also a safety precaution as dogs can get overly aroused as owners begin to show up. Many people believe we “play with dogs all day.” And while theoretically that is true, our job is much more than that. 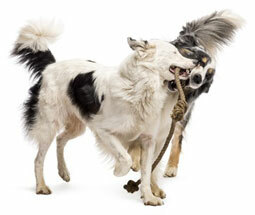 We strive to know your dog's personality intimately so we can pair each dog with great playmates. When your dog stays with us, we know which bed your dog likes, how your dog likes his or her meals prepared, which snuggly blankets are your dog's favorites, which suite your dog calls his or her own, what your dog's preferred treats are, how your dog likes his or her room set up and which side of the room your dog likes the bed to be on. We also recognize when there is a problem with your dog. Lameness, loss of appetite, urinary tract infections, ear infections, eye discharge, “icky poo” and a plethora of other ailments are recognized daily. 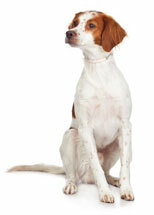 We NOTICE when your dog isn’t “right.” We feed, medicate, poop scoop, clean, and bathe. Our job is all encompassing and we take it very seriously. Our motto: Every dog leaves K9 Country Club feeling and looking better than when he or she arrived. It's a tall order but we strive every day to accomplish it. We appreciate your trust in us to care for your family members! • If you don't have to be at work by 8 a.m. (or earlier), it will help us immensely if you wait to drop off your dog between 8:00 and 8:30 a.m.
• If you arrive and our big gate is open before 7:30 a.m., it does not mean we are open early. The gate is open either because it is garbage day or the weather prevents us from closing it (due to wind or snow). Although the office and daycare doors may be unlocked before 7:30 a.m., we are still scurrying around taking care of our overnight guests and are not ready for your dog(s) yet. Please wait until 7:30 to bring your dog(s) inside. • While our official cutoff time for your dog's arrival is 9:00 a.m., it is helpful if dogs arrive by 8:30 a.m. Once we get the dogs into groups it is difficult to have a dog arrive later for two reasons. 1. Once a group is formed the dogs get anxious and excitable when a lone dog is introduced into the group. 2. One of our handlers has to retrieve a late-comer and in doing so they have to leave their pack. Someone else has to watch that pack while they are gone. 1. We may be out in the play yards, and although Nancy can see you enter the daycare (yes, you are being watched on closed circuit television), she may be on the phone and can't tell us you are waiting. 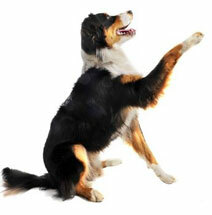 We need to get your dog out of their group and safely route them through several other groups to get them to you. A heads-up from you is extremely helpful! 2. If you "pop in" and there is a large group of dogs loose in the daycare building it can easily escalate to a heightened state of arousal and become unsafe. • If your dog is a half-day participant, it is helpful if you pick up your dog between 11:45 a.m. and noon whenever possible. We begin getting dogs settled for nap time at 11:30 a.m., and it is a process! This task is accomplished more easily and safely if we can get the full-day dogs settled before we start sending half-day dogs home. • Please make every effort to enter the building with your dog's leash in your hand and your dog under control. • If you have more than one dog who goes into the daycare building (not the office), please bring them in one at a time. When they come in together, they are much more "amped up" than when they enter separately. We have been testing this process with a few pairs and it has made all the difference in the world. The dogs coming inside are calmer and in turn the dogs waiting for everyone to arrive are calmer. We are constantly looking for ways to make our packs more calm and "balanced." Thank you for all you do to help us!! Again, we appreciate your patronage and your dogs!